NEW YORK (AP) — Fox hoped to use a week when there wasn’t much else on broadcast television besides football to draw attention to its new competition “The Masked Singer.” The strategy proved sound. The Nielsen company said that 9.37 million people watched the series debut last Wednesday. That was the biggest audience for unscripted show premiere on television in the last seven years. Most promisingly for Fox, which is starved for a hit, more precise statistics illustrated a strong buzz for the show. Its ratings grew in the show’s second half hour, meaning people were attracted to the program through word of mouth as it was airing. That’s unusual for a new show, when attention typically slips as the hour goes on. The show also padded its stats with people who caught it through delayed viewing or streaming. Add in those numbers, and Fox estimates some 14 million people checked out Fox’s attempt to establish a new music competition series. 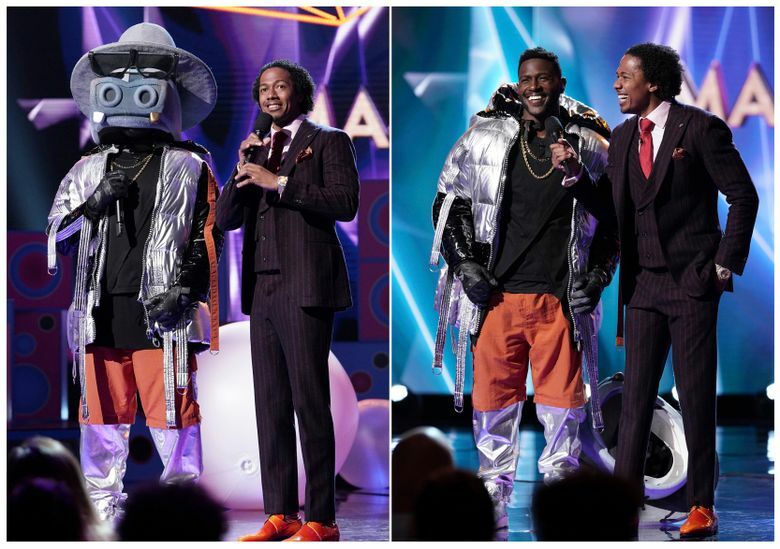 A big test will come this week and beyond, when “The Masked Singer” has more competition. NBC also debuted its own high-profile competition series last week, “Titan Games.” It reached 6.5 million people, which was more than anything else on NBC prime-time last week except for the Golden Globes telecast, Nielsen said. The Globes were seen by 18.6 million people, down slightly from last year. Football continues to be king, with Fox drawing nearly 29.4 million people to see Seattle and Dallas compete in an NFL wild-card game, Nielsen said. Fox won the week in prime-time, averaging 7.9 million viewers. NBC had 7.4 million, CBS had 5.7 million, ABC had 4.1 million, Univision had 1.36 million, ION Networks had 1.35 million, Telemundo had 910,000 and the CW averaged 610,000. ESPN topped the cable networks with a prime-time average of 3.48 million viewers. Fox News Channel had 1.59 million, MSNBC had 1.54 million, Hallmark had 1.45 million and HGTV had 1.27 million. ABC’s “World News Tonight” topped the evening newscasts with an average of 9.4 million viewers. NBC’s “Nightly News” had 8.9 million viewers on average and the “CBS Evening News” drew 6.3 million. For the week of Dec. 31-Jan. 6, the top 10 shows, their networks and viewerships: NFL Wild Card: Seattle at Dallas, Fox, 29.38 million; “Golden Globe Awards,” NBC, 18.61 million; Rose Bowl: Washington vs. Ohio State, ESPN, 16.31 million; “Sugar Bowl Pregame,” ESPN, 15.02 million; Sugar Bowl: Texas vs. Georgia, ESPN, 14.07 million; “The Big Bang Theory” (Thursday, 8:30 p.m.), CBS, 12.8 million; “Wild Card Pregame,” Fox, 11.534 million; “Primetime New Year’s Rockin’ Eve, Part 2” (Monday, 10 p.m.), ABC, 11.531 million; “Young Sheldon,” CBS, 10.95 million; “The Masked Singer,” Fox, 9.37 million.